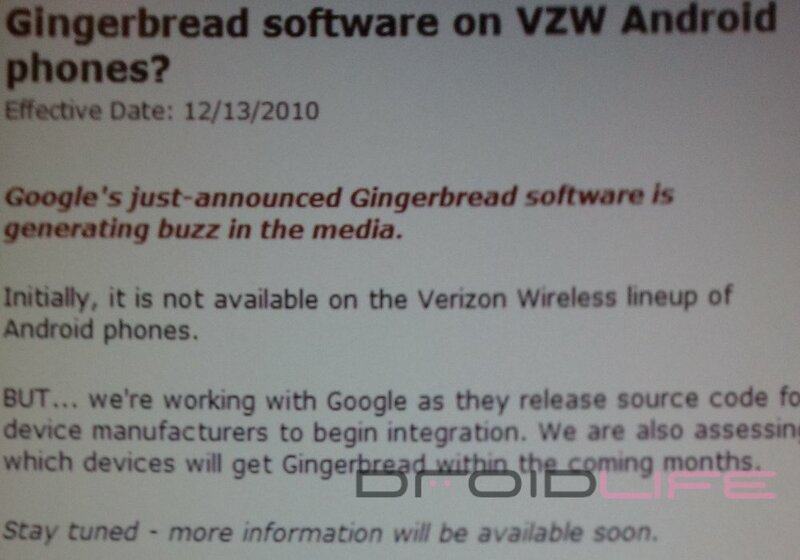 We still don’t know when or which of our Droid devices will receive Gingerbread (Android 2.3), but we know that Verizon is at least in the process of assessing the situation. Customer service reps are now being asked to tell customers that they are “working with Google as they release source code for device manufacturers to being integration.” I know it’s not much, but we wanted you to know that it’s on their radar. Any bets are which phone will receive Gingerbread first? Ooh…hello poll idea. Wednesday Poll: Which DROID Device Will Receive Gingerbread First?